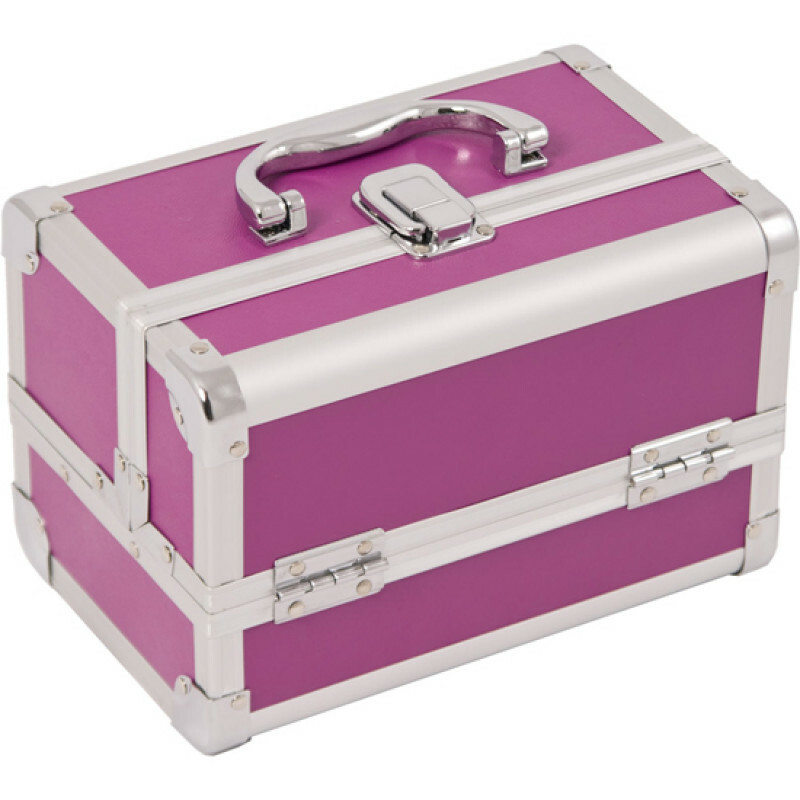 The M1001 Sunrise Purple Cosmetic Train Case with Mirror is a smaller case, measuring 9" x 6" x 6". 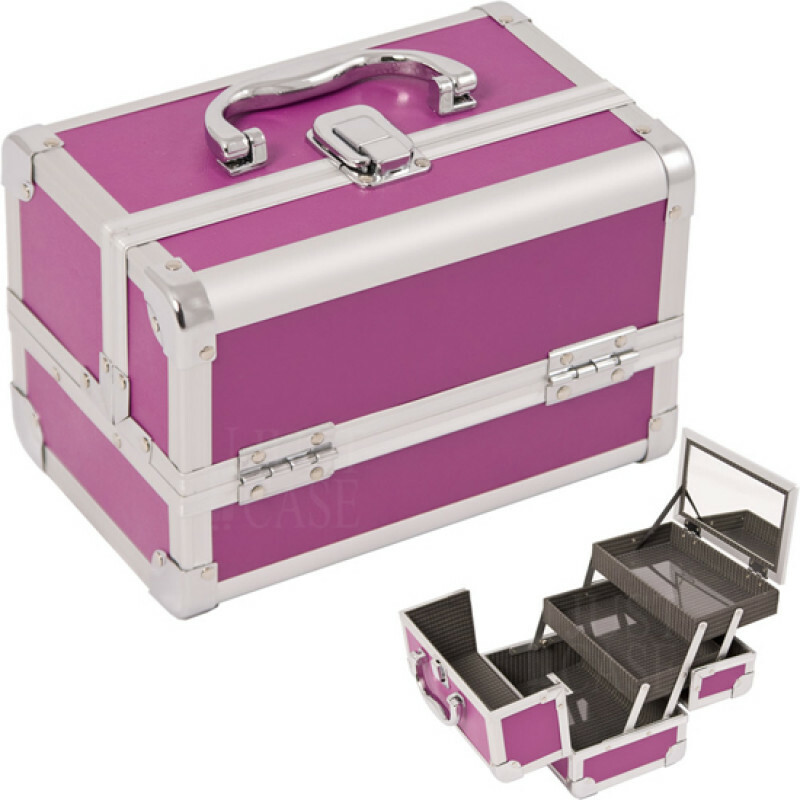 Simple makeup case features 3 trays and a mirror under the lid. 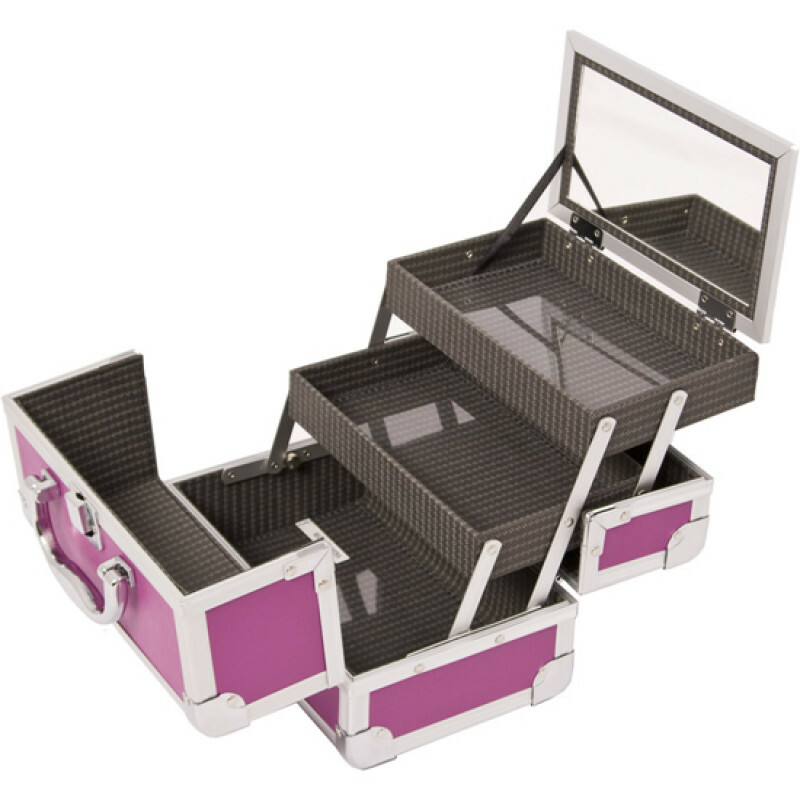 The high quality aluminum finish and steel corners offer plenty of protection. Latches are easy to secure, no cosmetic goods will escape by accident. Total Case Dimensions (LxWxH): 9" x 6" x 6"
Tray Dimensions (LxWxH): 7.75" x 4.5" x 1"
Space Underneath Trays When Closed (LxWxH): 8.5" x 5.5" x 2.25"